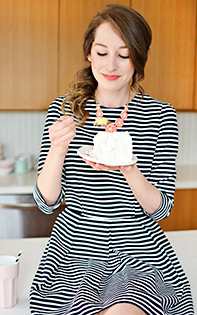 Last week I took a study break to try out a recipe I have been meaning to for a while (and when I say study break, I mean I hadn't actually started yet and was trying my best to put it off). 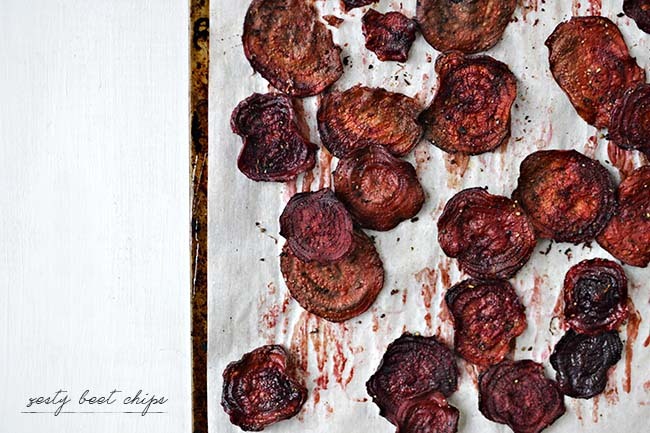 I'd never used a mandolin before, the little devil that it is, and reading what happened to this woman when she made beet chips, I was a little nervous. 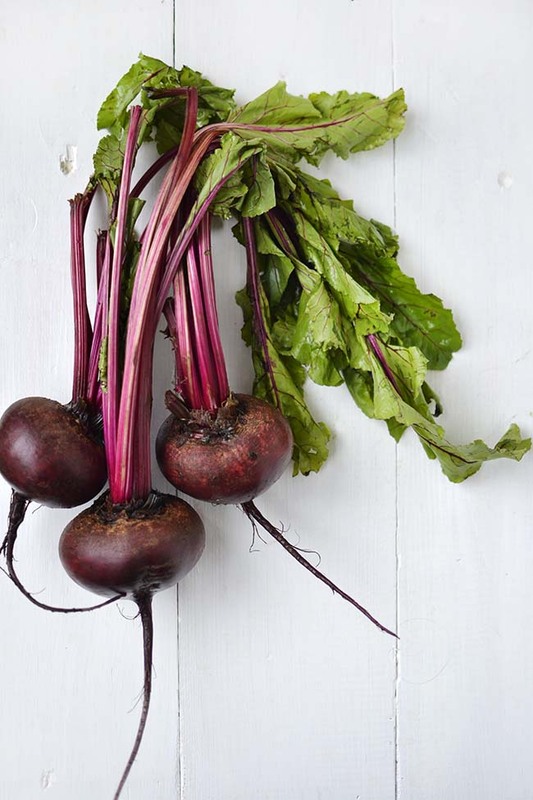 Having already filled my emergency room visit quota for the month, I decided to put on a pair of rubber gloves and use a tea towel to grip the beet and keep a nice distance between the blade and my fingers. One not-so-white tea towel later and gloves that certainly can't be used for washing dishes anymore (that would have been my finger if not for the gloves! 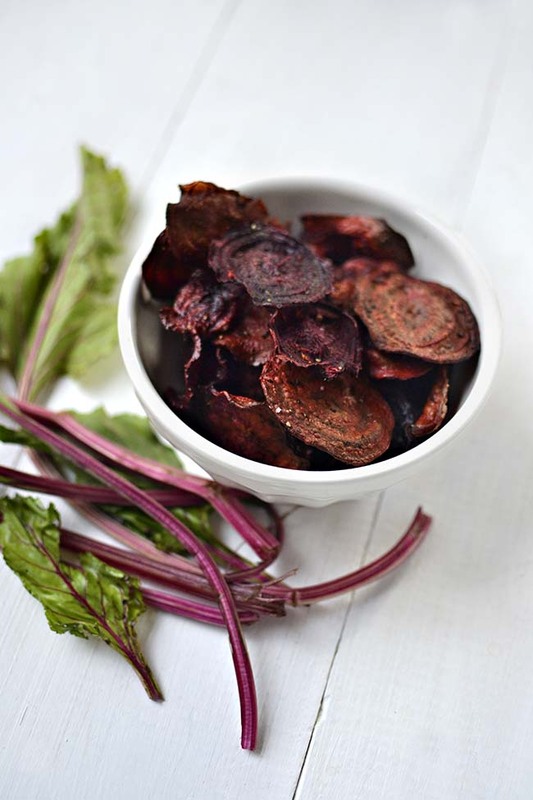 ), three big bulbous beets became exam-snack-worthy chips. My only suggestion to you and myself would be to slice them consistently thin and to not be liberal with the oil. Preheat the oven to 350ºF. 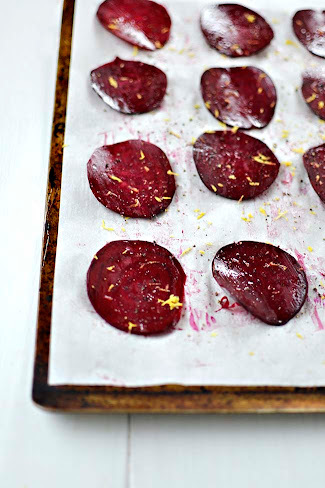 Using a mandolin or sharp knife, slice the beets into thin slices. 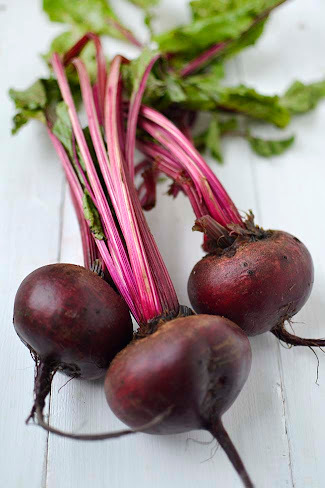 In a bowl, toss the beets with the olive oil, salt and pepper. Grate a lemon into the bowl and toss again. Lay out in single layers onto a baking sheet. Bake for 20-30 minutes* or until crisp. Cool on a wire rack until completely cool. *It will depend on how thin the beets are. If you're doing two trays at a time, one on a lower rack and the other on a higher rack, swap positions 10-15 minutes in.